White Ink printing on dark papers - it's sharp, it's striking, and it's offered on hundreds of high end papers and envelopes at LCIPaper.com. 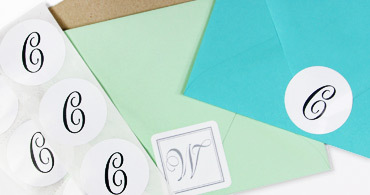 Learn how to get your envelopes printed with white ink! 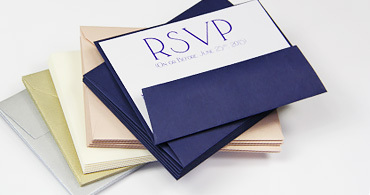 A fit for the popular (A7) 5x7 invitation card, (A7) 5 1/4 x 7 1/4 envelopes are the most common invitation envelope size. We offer hundreds of them to suit every budget & taste. View our collection of A7 envelopes for invitations, weddings! Downright stunning, Curious Metallics envelopes feature a double sided metallic shimmer and a deeply saturated color palette. 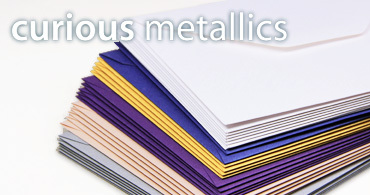 Order your favorite Curious Metallic Envelopes here! Hundreds of papers, select styles and guaranteed quality. 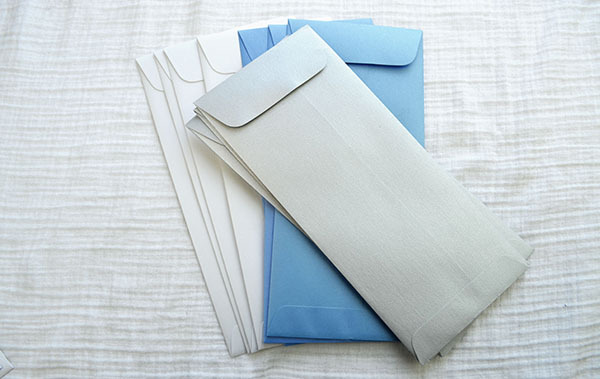 Order wedding envelopes, blank or guest addressed. 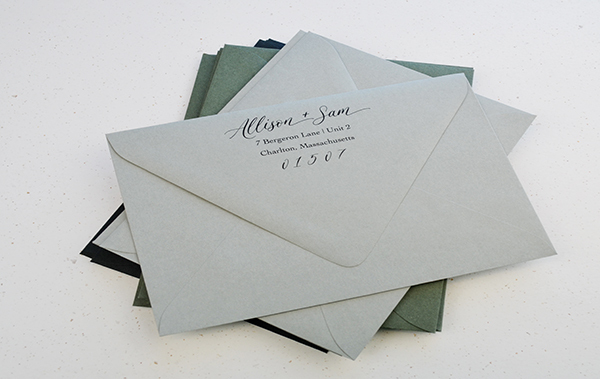 Line envelopes are easily the best way to enhance the appearance of your wedding invitation suite. Shop your size, liner color and format. 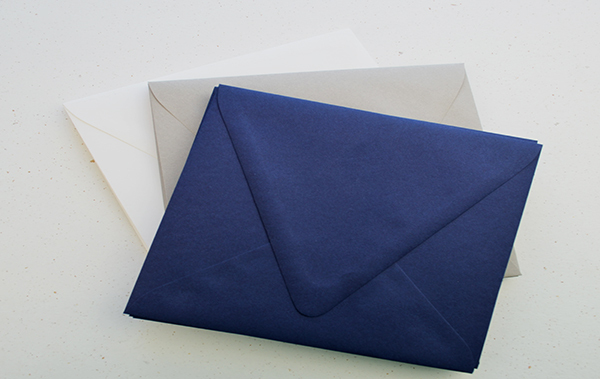 Euro, or deep neck flap envelopes feature an elongated, angular flap for distinguished and stylish stationery. 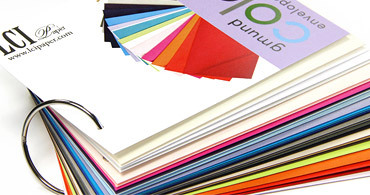 Choose from dozens of sizes and trendy colors, and pair with matching card stock. All sizes of square envelopes, in amazing colors, textures & brands. View now and order your envelopes blank or let us recipient address & return address print in 48hrs. 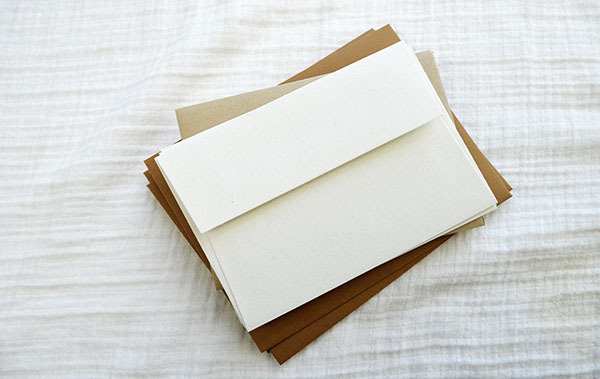 Shop our collection of eco-chic recycled invitation envelopes in a variety of colors from white, to shades of kraft brown, to neons. Recycled content ranges from 30-100% PCW. 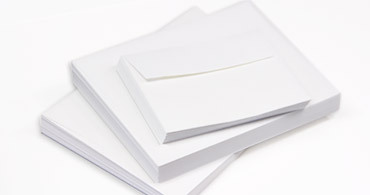 Order envelopes blank or fully addressed. 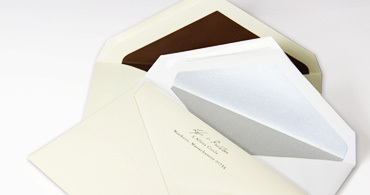 Hudson Wove is our branded selection of envelopes made for large quantity mailings. Sold in bulk, great prices and stocked for fast same day shipping. Social announcement envelopes from A1 to A10. Explore this collection and save. Not your average number ten envelopes, policy invitation envelopes open on the short end. 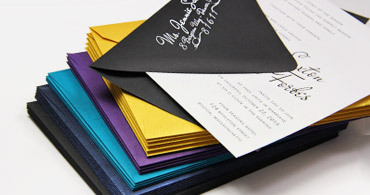 Policy envelopes are offered in a rainbow of colors and in multiple finishes and are great for invites, holiday cards, and business correspondence alike. 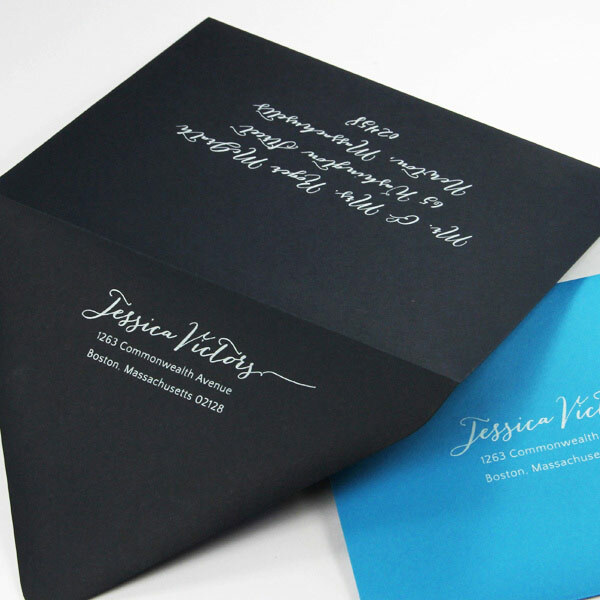 Seal your invitation envelopes, favors, or stationery in style with custom envelope seals. We offer several dozen seals in your choice of design, color, and shape. Choose your favorite design, then customize with your personal info - it's as easy as that! Buy wholesale when you have a large mailing or event. 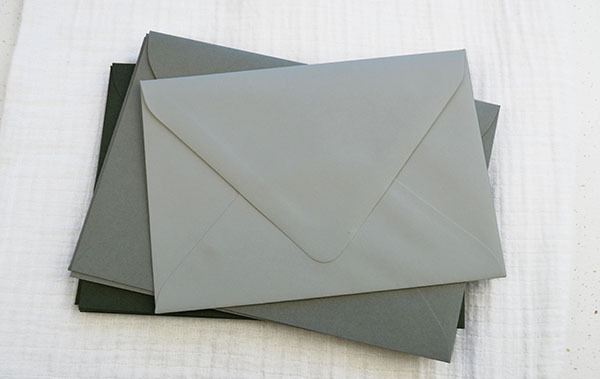 Our wholesale envelopes are top quality envelopes sold in bulk at prices you will love. 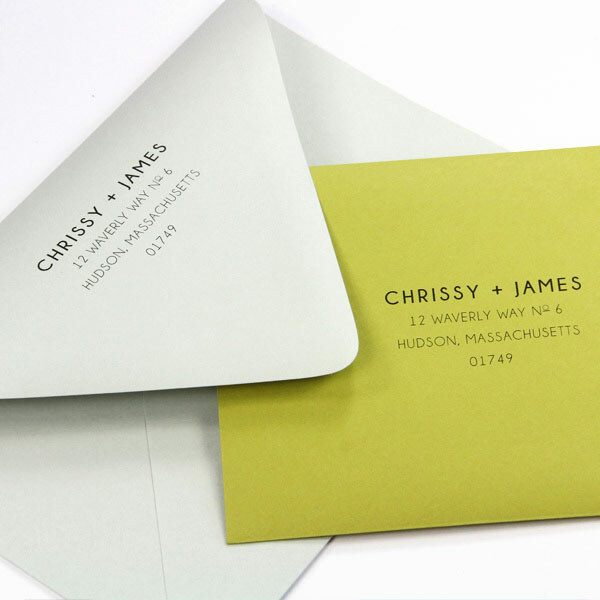 In need of invitation envelopes? You've come to the right place. Whether you buy your envelopes bulk or small quantities, your style traditional or trendy, your event personal or professional, we offer hundreds of top quality envelopes all at wholesale prices for you to choose from. Cards come in all shapes and sizes and so do our envelopes. 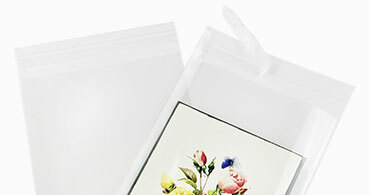 At LCI, we offer not only the standard envelope sizes, but the not so standard ones as well. This gives you options, flexibility, and a source for those tough to find envelope sizes. 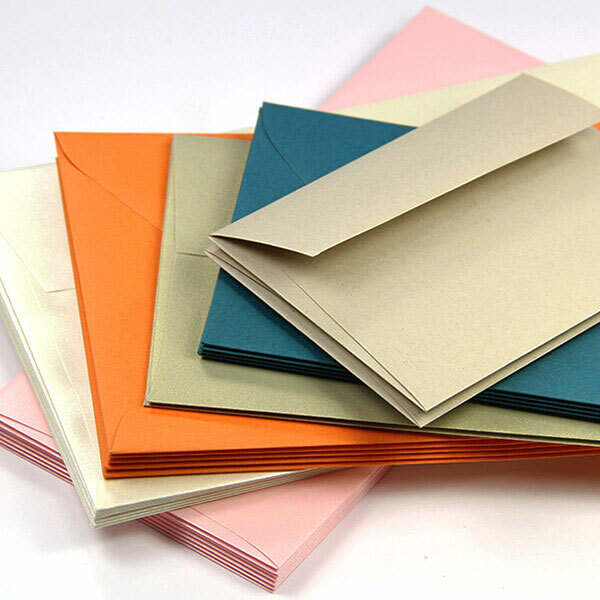 Our envelopes are made using our extensive collection of colorful specialty papers and in a variety of formats and flap styles. What does this mean for you? A seemingly endless variety of super fancy envelopes to complement your design! 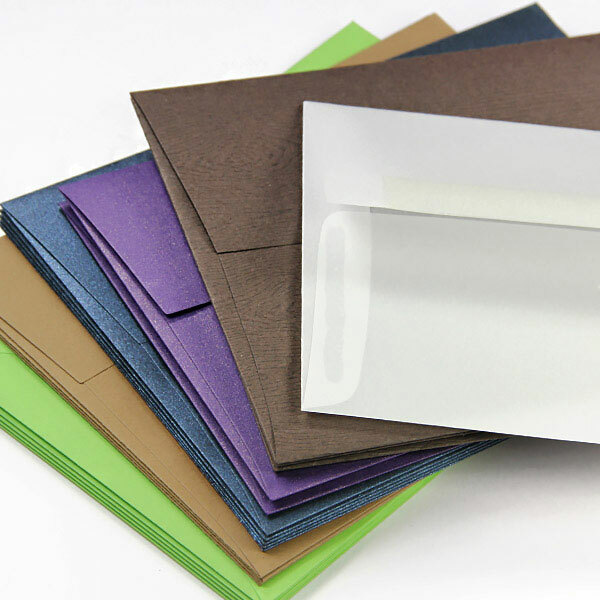 We recommend you take the time to check out all of our envelope styles, formats, and finishes, but below, we've listed some customer favorites. If you are comfortable printing on our own, use our Microsoft Word envelope printing templates and instructions. Templates are available for download in the Specs tab below the product image. 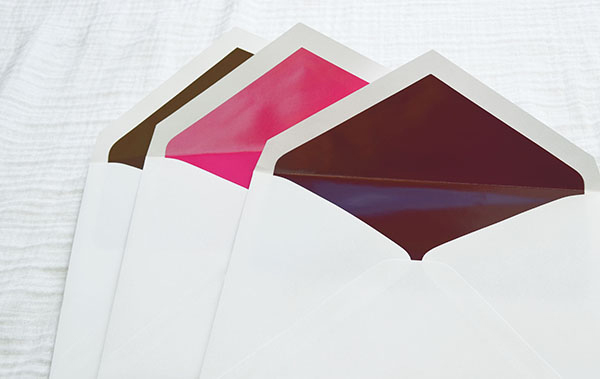 If you would rather save time, let us print your envelopes for you! 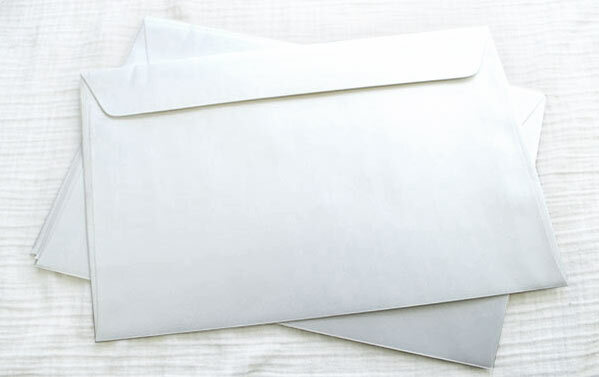 We offer full envelope printing and addressing services on most of our envelopes, including our wedding & rsvp envelopes. 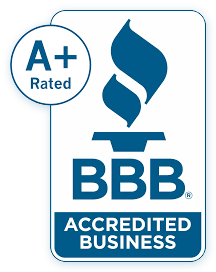 * Printing is sharp, professional, and fast. 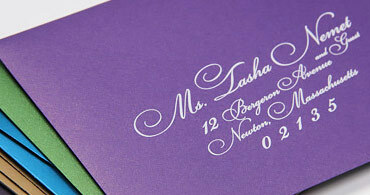 *Heavily textured envelopes, silk envelopes, and custom order envelopes excluded. Whatever You Choose, Your Envelopes Will Ship FAST! No matter which envelopes you decide on, blank or printed, easy online ordering and fast shipping is guaranteed! Blank Envelopes Ship Same Day! Envelopes ordered Monday-Friday before 3pm EST ship same day from central Massachusetts. * Upgrade shipping to as much as Next Day Air, need be. 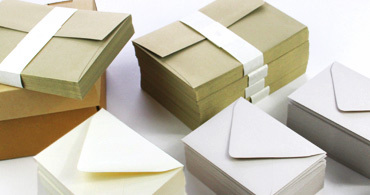 Printed Envelopes Ship within 4 Days Custom printed envelopes ship within 4 business days. Need them faster? Rush service (24 hour turnaround) is also available. *A selection of envelopes ship from alternative locations, as noted in red in the product description.